Chic and luxurious, this stylish virtual flowers bouquet is overflowing in beautiful blooms. 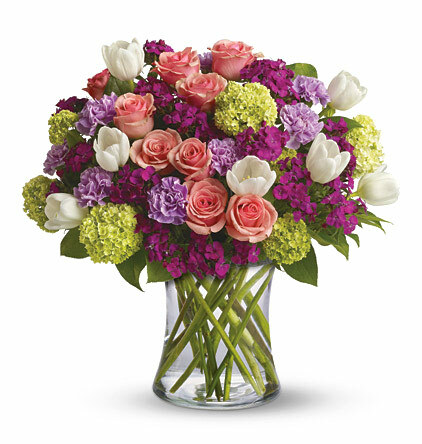 Featured blossoms include tulips, roses, carnations, Sweet William, viburnum, and more. It's the perfect way to say thanks, you're special, or I Love You.